‘A book of big questions, and big answers’ Yuval Noah Harari, bestselling author of Sapiens WITH A NEW AFTERWORD FROM THE AUTHOR Why has human history unfolded so differently across the globe? In his Pulitzer Prize-winning book, Jared Diamond puts the case that geography and biogeography, not race, moulded the contrasting fates of Europeans, Asians, Native Americans, sub-Saharan Africans, and aboriginal Australians. 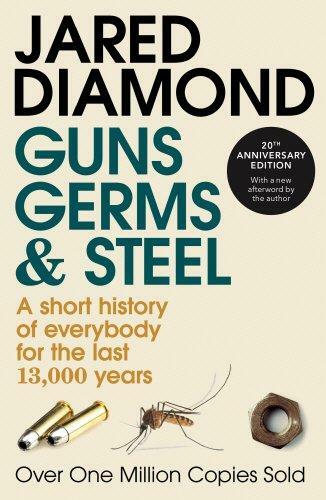 An ambitious synthesis of history, biology, ecology and linguistics, Guns, Germs and Steel remains a ground-breaking and humane work of popular science.